We finished up lines and angles a while back, and I’ve been meaning to share my student’s awesome final quiz. We had already located angle types in the classroom and taken photos of them. 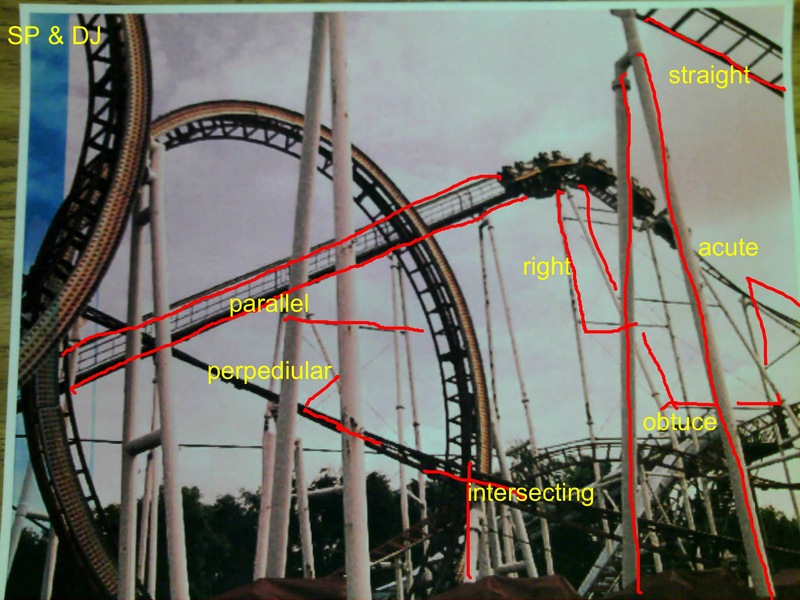 To reverse the students’ thinking, I gave them a photo and they had to identify examples of the four angle types (right, obtuse, acute, and straight) as well as the three line types (parallel, perpendicular, and intersecting). I could have done this using a basic worksheet, but instead we went paperless. 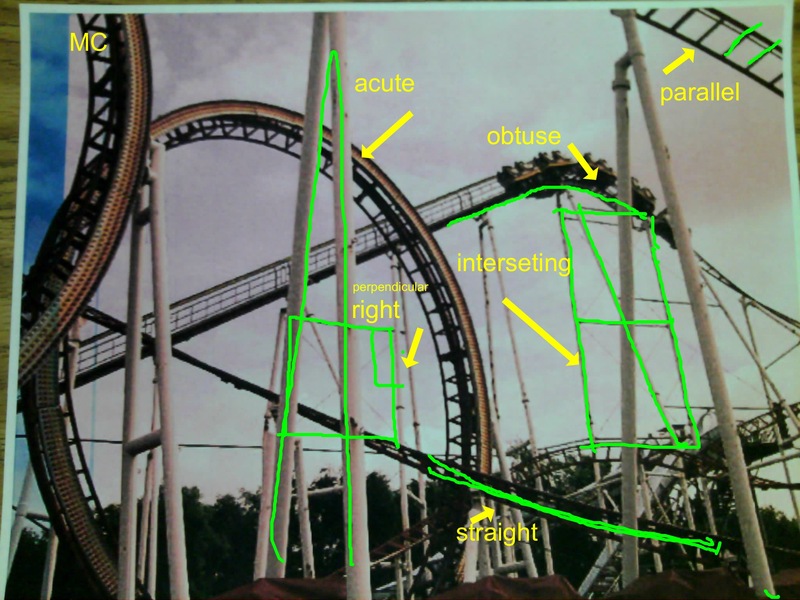 Using the Educam app and my Ken-A-Vision Document Camera, I placed a photo of a roller coaster track under the camera and sent it to my students’ iPads. Their task was to use the pen and text tools to find, trace, and label an example of each of the above items within the one picture. Some even discovered the arrow tool and used it to be more precise with their labels. They loved it! 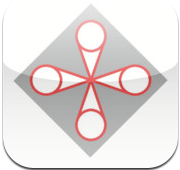 After finishing up the quiz, students saved their photos and uploaded them to Dropbox. It was fun, engaging, and totally paperless. Students identified four types of angles and three types of lines. Students annotated the photo using the Educam app.